In the past, ornamental fencing looked beautiful from afar, but not so appealing up close. 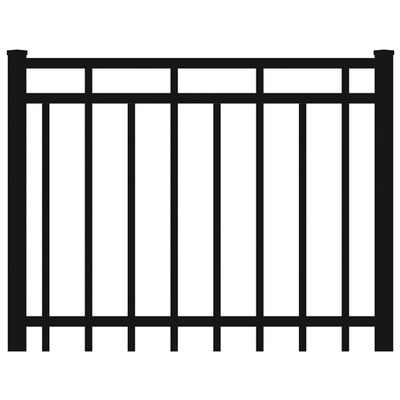 New Trend Fencing is a step above the rest with the strongest ornamental rails on the market at 11ga. Compare that to any competitor at 14ga. With its patented u-channels New Trend Fencing powder coats the rails where weld markings will be non-existent! 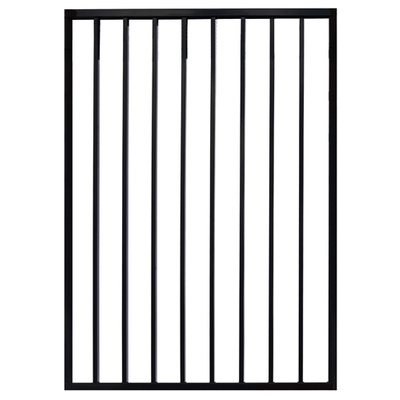 Every competitor uses a slit tube for their rails and you can’t powder coat inside of a tube. Corrosion resistance at its finest. Our flange post caps are also available to cover up bolts to create an appealing and elegant look. 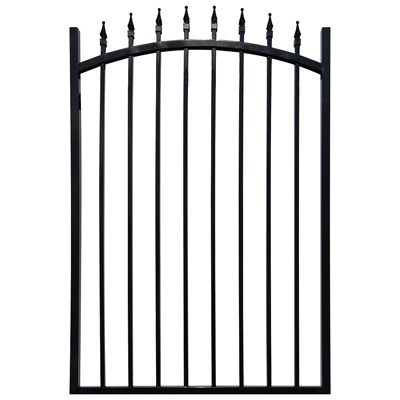 New Trend creates in-house custom and arched gates for your outdoor living requirements. 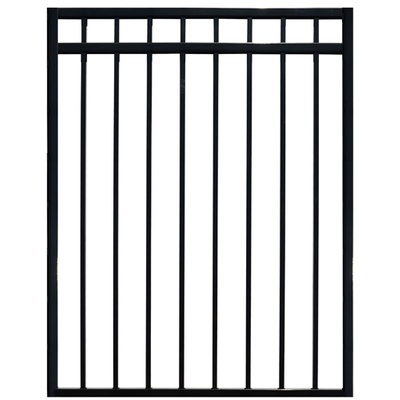 Our ornamental panels come in 6 styles that we continuously keep in stock year round. I know it’s Canada, but maybe putting up your brand new ornamental fence Christmas morning isn’t such a bad Idea. 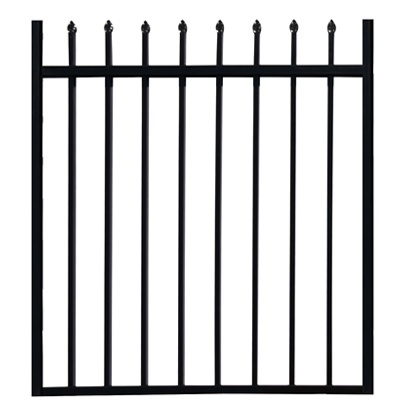 Why New Trend for Ornamental Fencing? We mix and match to suit your personal design preferences. 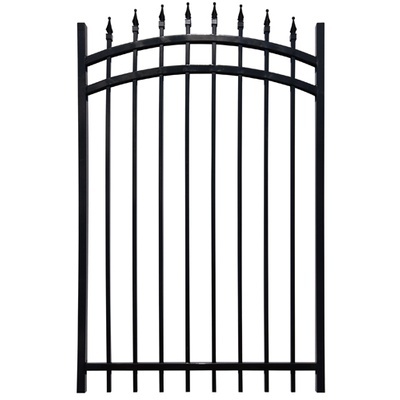 We provide options for custom “anything” for all ornamental gates and panels. Powder coated with a 5 year warranty. Ornamental panels meet the building and pool codes internationally. We’re always creating new innovations to keep ahead of our competition!